You probably already know that constant stress can destroy your health. But did you know that it can rob you of your memories as well? It's true. And a new study on pregnant moms and babies shows you how. In this report, pregnant women took the nutrient choline in the third trimester. The dose range was 930 mg vs. 480 mg per day. The researchers found that the higher choline intake had an effect on the babies' genes that affect cortisol production. It was so effective, in fact, that the moms taking the higher choline supplement produced offspring with 33% less cortisol in their cord blood. Prior research has found that supplemental choline during pregnancy enhanced brain activity of animals in utero. What that means for humans is that choline may raise cognitive function, learning abilities, memory, and perhaps prevent age-related memory loss. Choline might also protect the brain from toxin exposure. Cortisol is a stress hormone. More cortisol can lead to significant metabolic disturbances as the child grows. These might include diabetes, hypertension, and mental health issues. Why is this relevant to you? Choline is a critical compound in your body. It is crucial for cell membranes, and especially your brain. It participates in key biochemical reactions called methylation. It may provide a backdoor for enhanced glutathione (your principle detoxifier) production. Here we see that in early life choline reduces the amount of stress hormone cortisol, which rises as we age and develop chronic problems. Because choline is so important, your body does produce it. But it does so only in limited amounts. It can handle normal stressors. But when chronic stress hits, it's not enough. 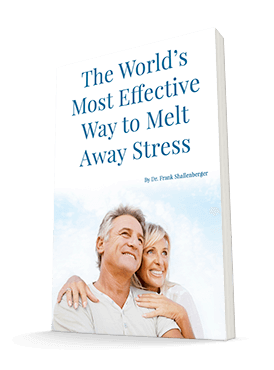 Chronic stress produces too much cortisol, and your body can't balance it out with choline. The excess cortisol can rob calcium from your bones, make you fatter, cause immune dysfunction, and many other health problems. So how can you get more choline to protect your brain? Some of the best food sources of choline are: beef liver (better uncooked), egg, cauliflower, spinach, quinoa, amaranth, and wheat germ. However, poor digestion in the elderly can make it difficult to get enough choline from food. So I recommend supplemental essential phospholipids (EPL). The key EPL is phosphatidyl choline. It is rich in the cell membranes of the newborn and falls drastically with age. This report suggests, that in addition to its effect on cell membranes, choline beneficially regulates your genetic expression and protects your brain. This makes sense, as modern research is increasingly focusing on the action at your cell membranes as even more important than the DNA itself. It's as if the cell membrane is the keyboard controlling the nuclear DNA "hard drive." The best supplemental source of choline is the product PhosChol, which is about 100% phosphatidyl choline. Three grams per day increases your blood choline by 50%. You will not get this effect by simple choline supplements, since intestinal bacteria will break the choline down before you can absorb it. I recommend PhosChol to almost all my patients for its benefits to the vascular system, cognitive and brain function, and detoxification assistance. Now I use it for those under chronic stress as well. The standard daily dose is one capsule per day. This will give you considerable benefit. But you can raise this to three capsules daily if you need to reliably raise your blood choline level by 50% (your doctor can help you determine this).